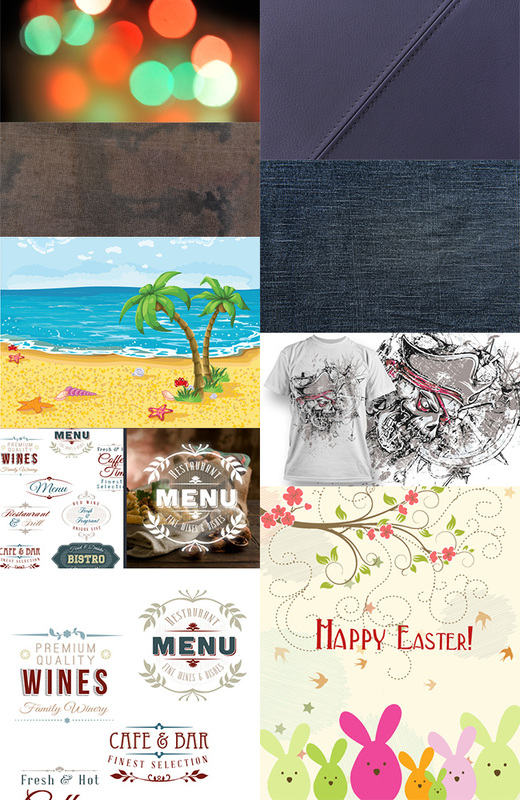 Get a pack of 19 premium resources worth $66 for free by entering this contest. The free pack is sent to the email address you use to participate in the competition and comes from the New Colossal Bundle: $10,063 worth of Top-Quality Resources – From $49. This way, you can test the products before you actually win them. 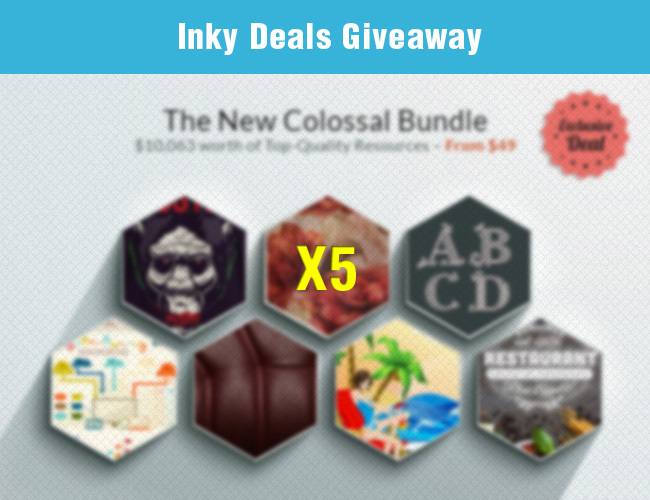 Because Inky (the lovable little ink blob) and his team enjoy giving back to the community, they’ve launched this unique giveaway where you can win 1 of the 5 New Colossal Bundles: $10,063 worth of Top-Quality Resources – From $49. 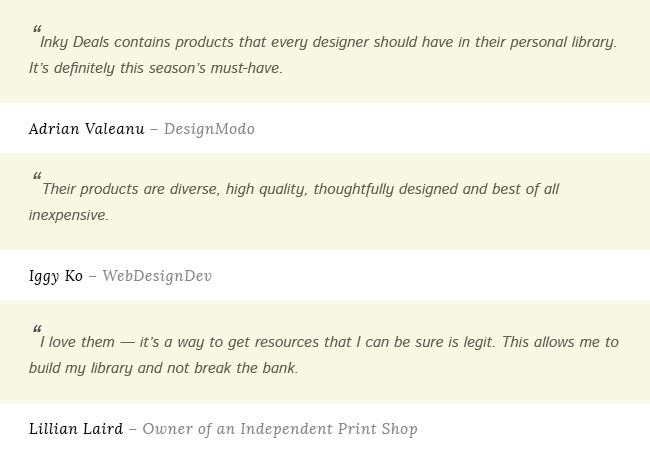 Take advantage of this opportunity to win a fresh, premium personal library of design resources for 2014! 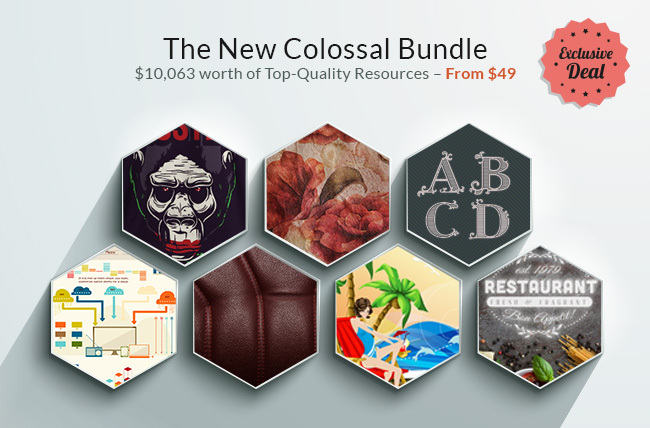 5 lucky winners will be chosen from the list of participants and each of them will win a free copy of the New Colossal Bundle: $10,063 worth of Top-Quality Resources – From $49. Thank you for participating, you’re now part of Inky’s extended design family! Sit tight, because you’ve just embarked alongside 300,000 of your peers on a journey that will lead you to great professional and personal development. I will use in my website projects.